Is Your Car’s Air Conditioner Ready for Summer? During the hottest months of the year, you need an air conditioner that keeps all drivers and passengers cool. Additionally, you also need to protect your car as the heat increases inside, which includes the engine compartment. Follow these tips to make sure that the air conditioner in your vehicle is well-equipped for the summer months. Test the different speeds of the A/C fan. A broken fan barely works and shows no differences between the speeds. Consider an A/C unit with a stronger fan that reduces the need for electricity. Switch to the coldest temperature and make sure that the fans and vents are working properly. This includes vents for the front and back seats. Knowing if enough cool air is blowing out is the easiest way to check for efficiency. There’s likely a problem if you notice strange odors or noises coming from your car when you turn on the A/C. A sputtering sound means a broken motor, and a musty odor points to mold or a leak. Changing the air filter regularly help keeps dirt and debris out of the engine. The recommendations are outlined in the car’s owner manual. Some drivers change the filter once a year, while others change it every 15,000 miles. If it’s difficult to keep track of vehicle maintenance, try keeping to a simple schedule of visiting the mechanic at least once a year. A leak coming from somewhere in the engine is a tell-tale sign of a malfunction. Some leaks appear underneath, while others appear in the engine. A leak compromises the entire vehicle and reduces the efficiency of your air conditioner, which is powered by the engine and electrical system. A defective engine becomes overworked and uses more energy than necessary. When this happens, the A/C works slower than usual and less efficiently. Open the hood to look for engine problems without having to visit the mechanic. Look for leaks and corroded parts that show signs of serious engine damage. You can do basic maintenance on the engine that includes refilling low levels of fluids. Maintaining your air conditioner isn’t the same as repairing it. Even if you know the basic components of this system, this isn’t a do-it-yourself project to handle on your own if you don’t know what you’re doing. Hire a qualified professional to look for damages that require repairs. Every year, summer temps brings sharp rises in broken air conditioning systems. A professional mechanic can identify the signs of a malfunctioning air conditioner and recommend the cheapest fix. 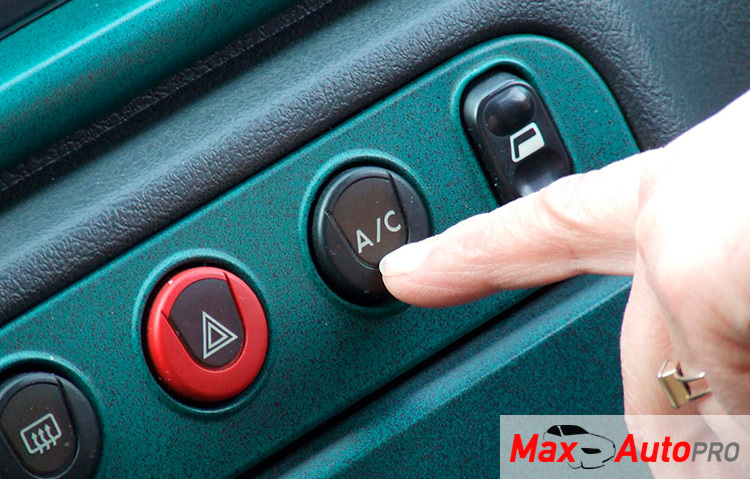 Continue reading for more tips on how to maintain your car’s A/C for summer.